Waking up super early might not be your idea of a fun vacation. But if setting an alarm and getting up means saves you a lot of stress and provides an exceptional experience, isn’t it worth it? I certainly think so. When Andy and I traveled to Rome, we signed up for an early entry Sistine Chapel and Vatican tour. 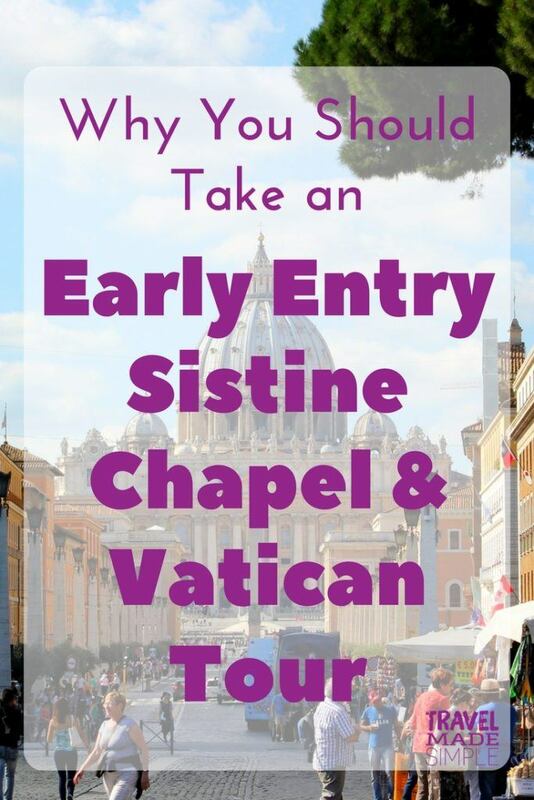 This tour is a must if you want to actually enjoy seeing the Sistine Chapel, and here’s why. We had to get to the meeting point at 7:20am, which was a bit painful since I’m not a morning person. But the Sistine Chapel early access tour was getting us into the Vatican museums a full hour before they opened to the public. This gave us the opportunity to view the ceiling of the famous Sistine Chapel without the huge crowds. While we were in the Sistine Chapel, our guide told us that Michelangelo, who was actually a sculptor not a painter, was reluctant to take the job because of prior commitments. But when the Pope insists, it’s hard to say no. Later on our tour, we had to pass back through the Sistine Chapel to get to another section of the museum, and it was so packed I could barely breathe as I squeezed passed the hordes. It definitely made me glad we were on the early access tour. Aside from the Sistine Chapel, the Vatican houses some amazing artwork and other historical pieces. 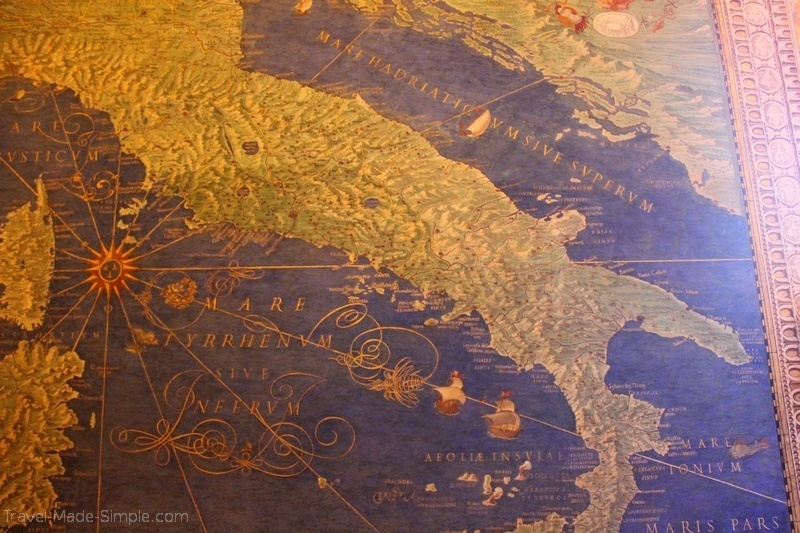 There were countless paintings and sculptures and an impressive gallery of maps. We also noticed lots of ornate pieces of marble, which we learned on our Underground Colosseum and Roman Forum tour were taken from the Forum before anyone thought to preserve the history there. As you walk through the museums admiring the art, be sure to look down every once in awhile. The details on the floors were quite stunning and impressive as well. In fact, Andy actually liked the floor in the Sistine Chapel better than the ceiling! St. Peter’s Dome is 136 meters high. No buildings in Rome are allowed to be higher than that, which means there aren’t any huge skyscrapers in the city. The Vatican receives about 30,000 visitors per day. PER DAY! The Vatican, or the Holy See, is actually the smallest country in Europe, and in the world! Vatican citizenship is difficult to get and never granted through birth. It’s also temporary. 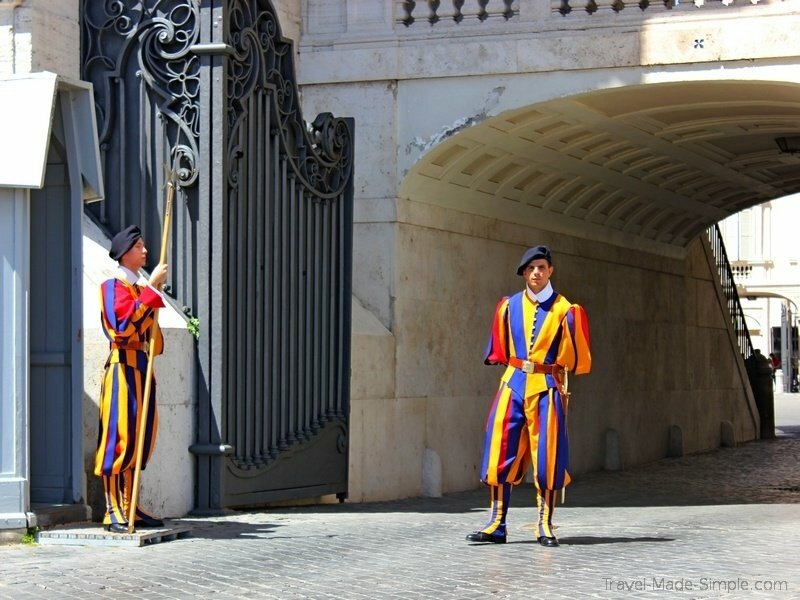 The Vatican is protected by Swiss guards, who are granted temporary citizenship. They must meet strict requirements – they must speak five different languages, be at or above a certain height, and be between the ages of 18-30. The tour group size is small, which we liked, but there are a few caveats. 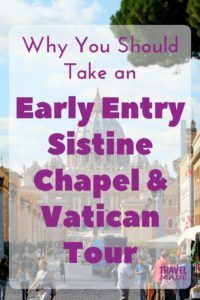 The Vatican has strict regulations regarding tour groups, and they only approve the early entrance for large groups. Because of this, your group will be combined with several other groups from the same company for the beginning of the tour. However, you will still be assigned to a guide with a small group of participants. The Sistine Chapel and Vatican is one of the most popular attractions in Rome, so it’s pretty much always crowded. Every visitor receives the same headset from the museum, which makes it tricky to keep track of your group. 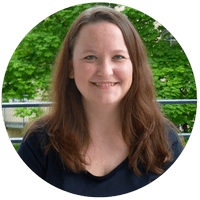 Take note of what other people in your group look like and what they’re wearing at the start of the tour to make it a little easier to stick together as you deal with other tour groups in the museums. After visiting the museums, we got to skip the line to go inside St. Peter’s Basilica, which was another bonus of being on the tour. Our tour didn’t spend much time inside, but we were welcome to stay and wander on our own once the tour was over. 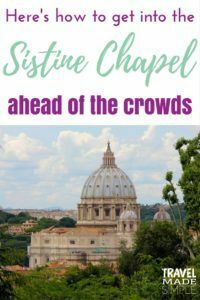 Visiting the Vatican means dealing with crowds, no matter what, so bring some patience. 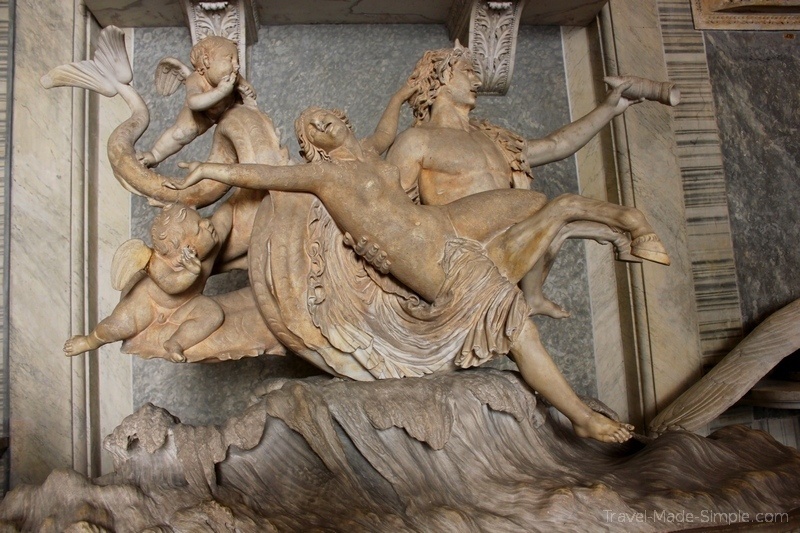 But by taking this tour, we entered the Sistine Chapel – the most popular part of the Vatican museums – ahead of the crowds and enjoy the famous ceiling without being crushed. That alone was worth being on this tour and getting up early. If you’re traveling to Rome, visiting the Vatican is a must. I highly recommend taking the early entry Sistine Chapel and Vatican tour in order to have a better experience and really enjoy why you came. 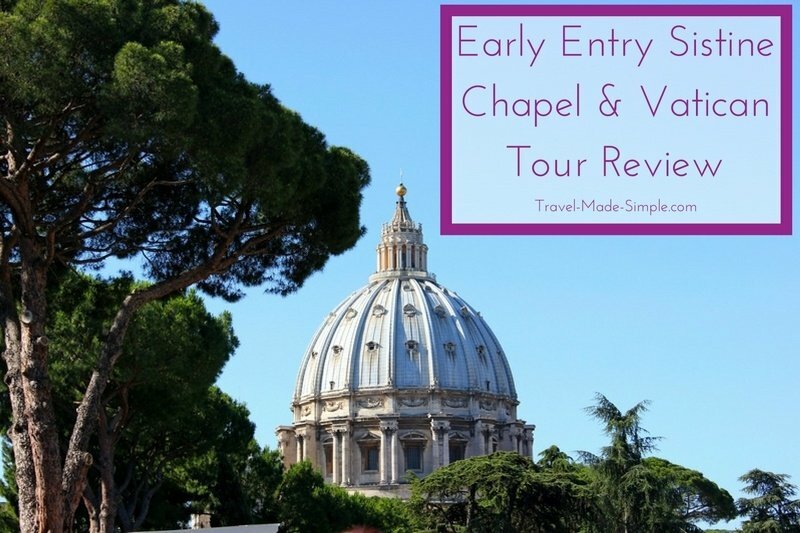 Book your early entry Sistine Chapel and Vatican tour here. Very useful information! I think the museum passes and early entry deals are not taken advantage of enough. 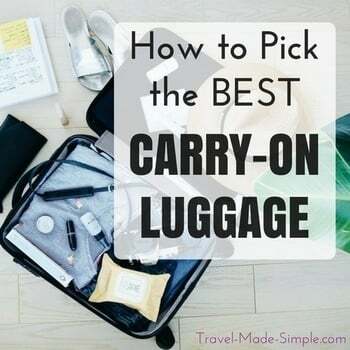 With the crowds being so big in Europe now, it’s good to know about these options. And 30,000 visitors a day? Wow! I know, so many people! I totally agree with you, passes and early entry (or after hours entry) options are a great way to beat the crowd and have a better experience. Always something to look for with popular sights.